Here’s something to know about me: I’m a very good secret keeper. I never let any cats out of anyone’s bag. But today, I’m cracking. And I’ll let you in on my secret. 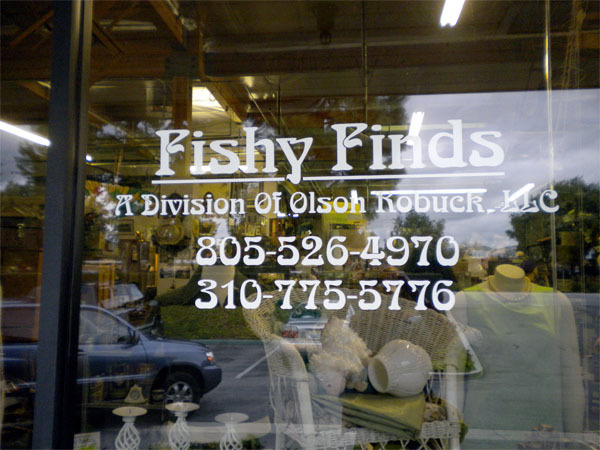 It’s a place called Fishy Finds in Simi Valley. I still remember my first trip there. 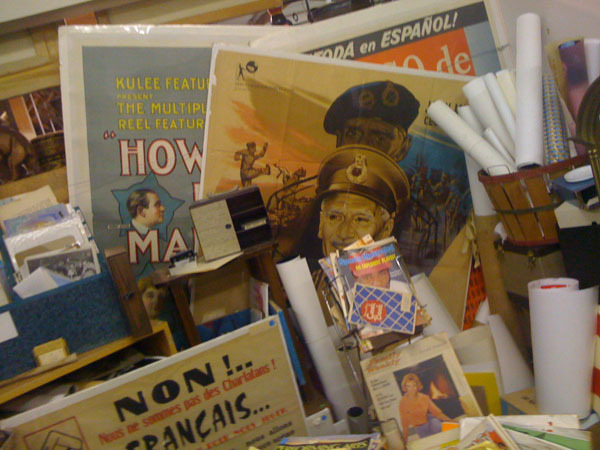 After a year of living in beautiful Simi Valley, California my wife and I decided to one day check out the thrift & antique stores in the area. The first one we went to was the one with the funny name: Fishy Finds. Even from the parking lot I could see inside the open door and I know instantly that this place was magical and was about to charm me. 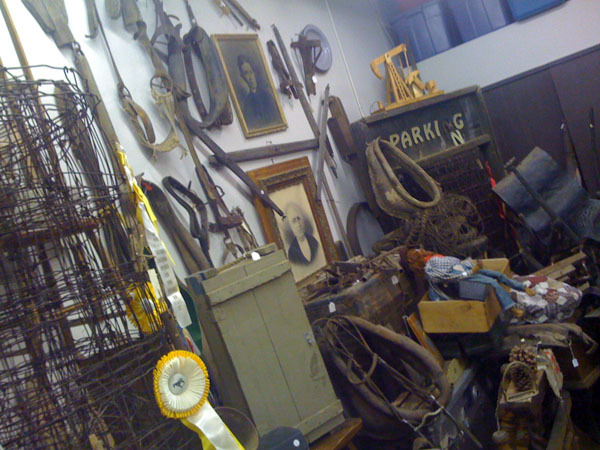 It’s the antique shop that I always wished existed. 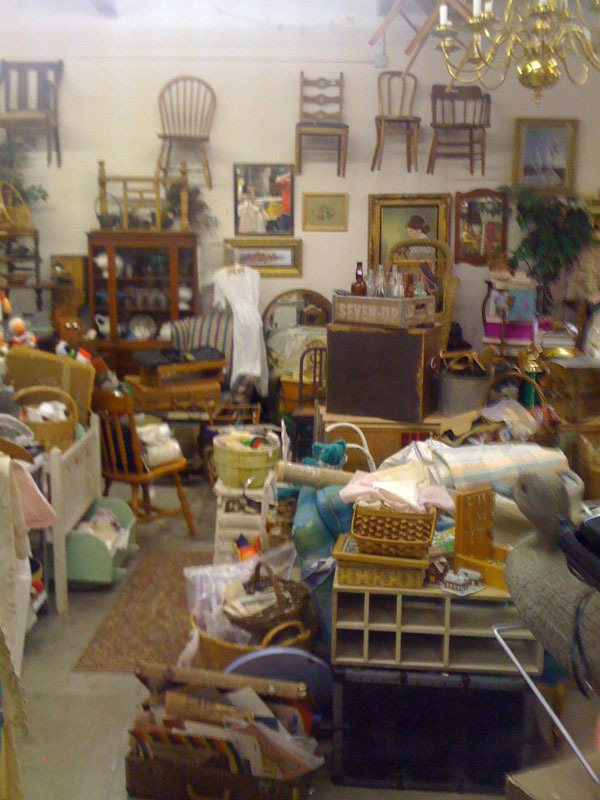 I always describe it like what it might look like if Knott’s Berry Farm had a yard sale. This place is for those who love the thrill-of-the-hunt and who love the stories behind the things. The owner, Tania, is about as sweet as they come and she literally knows the story behind each and every piece in the store. If you pick up an item to ask about the price, she’ll be able to tell you where it’s from, how old it is, who’s it was, and how she obtained it. What a gem! 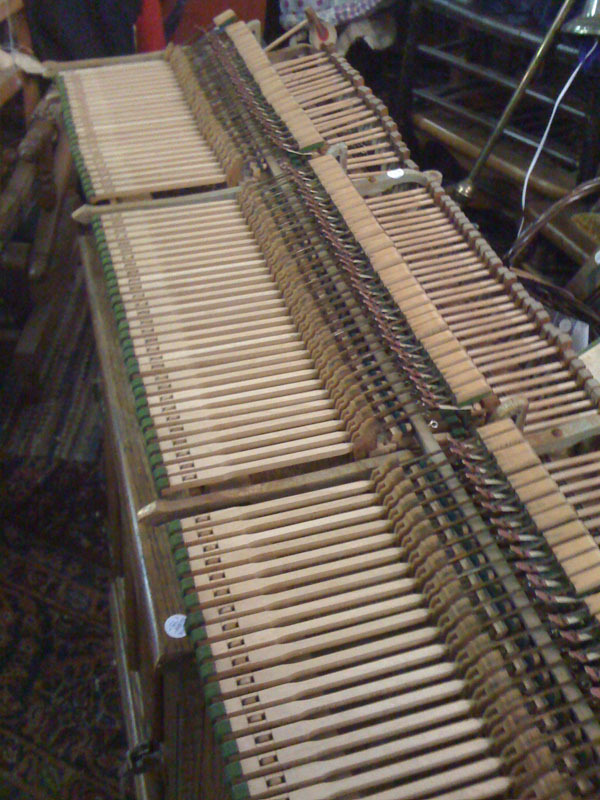 My wife had the brilliant idea of taking some of the innards of the piano I recently gutted (that’s a whole new blog post coming soon, God willing) and seeing if we can’t sell them at Fishy Finds. 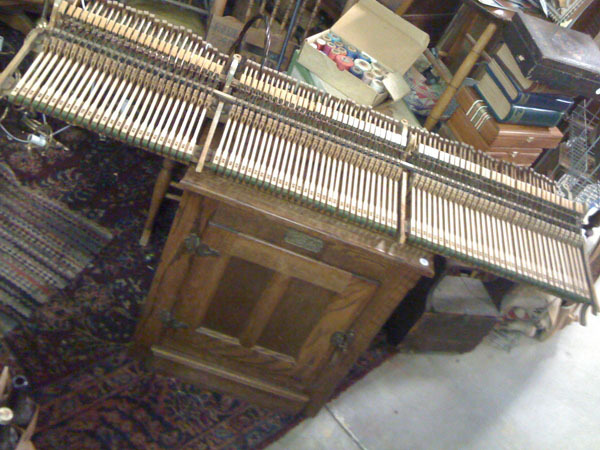 I had taken out the piano’s action a few months ago and had it set aside while I figured out what on earth to do with it. As interesting as it was I was probably going to throw it away as I had zero room for it but lo and behold we brought the store and we’re officially antique consignors. Not only that but Tania suggested a $225 price tag on it! See below. Did you happen to notice what’s underneath said piano action? Here’s a better view. Yes indeed, that’s our ice box that I got for free by the side of the road a month or two ago. It’s been sitting in the garage since I found it as we really don’t have room for it so we decided to part with it, as neat as it is. The price tag now on it? $175. Imagine that! We brought in a few unused picture frames from the 60s & 70’s I’d collected over the years as well as an antique garden tool. Total potential winnings:$530. After the 60/40 split we’d get $318. Granted there’s gonna be a bit of negotiating and we probably won’t get the full asking price for all the items but that’s no matter as I paid $0 for all the things we brought in. So all that to say, I let you in on my best kept secret. Now go buy our stuff! Happy hunting and good luck finding it!